shifts in shape, form and the amount of light diffused. For this project, I researched paper mechanisms and pulled inspiration from origami and geometric forms. Rather than jumping into sketching for ideation, the solution was achieved through building paper mock-ups. This lamp consists of two main materials: plywood and construction paper. The stiffness of the plywood provides the overall structure of the lamp. 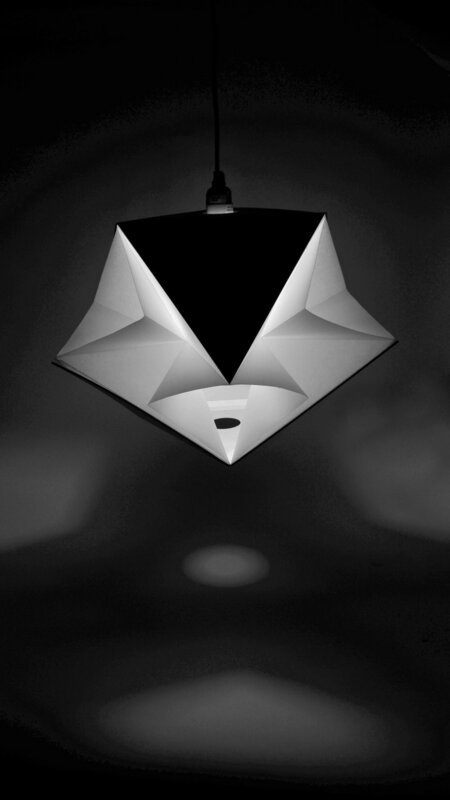 The folded sheets of paper not only holds the lamp closed, but also allows it to pop open due to its flexibility in material. With just one simple tug, the lamp shifts in shape, form and the amount of light diffused.